Falling for the Highlander is up for pre-order! Good news! Falling for the Highlander: A Time Travel Romance (Enchanted Falls Trilogy, Book 1) is now available for pre-order on Amazon! Even better news, release day is Thursday, July 26, so you won't have to wait long to dive in! And best of all, the other two books in the trilogy can be reserved as well! Pre-order Falling for the Highlander here. Pre-order Falling for the Knight (book 2) here. Pre-order Falling for the Chieftain (book 3) here. Check out this gorgeous cover! Falling for the Highlander: A Time-Travel Romance (Enchanted Falls, Book 1) will go live on Amazon July 26, with a pre-order option before then. Make sure you're subscribed to my newsletter so that you'll hear when this sizzling, page-turning story is available. The Lady's Protector is on sale! To celebrate the upcoming release of Her Wild Highlander (Highland Bodyguards, Book 8), the first book in the series, The Lady's Protector, is on sale for 99 cents! This deal will only last until May 8, so don't miss your chance to escape to medieval Scotland! 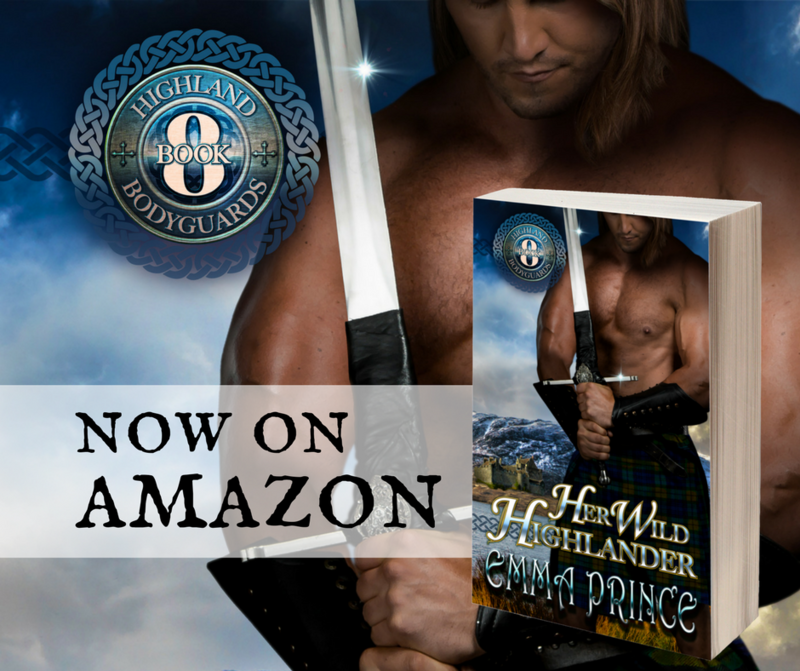 Her Wild Highlander is up for pre-order!